We’re starting this post off with a fascinating liquidation sale brought to us by Bonhams. 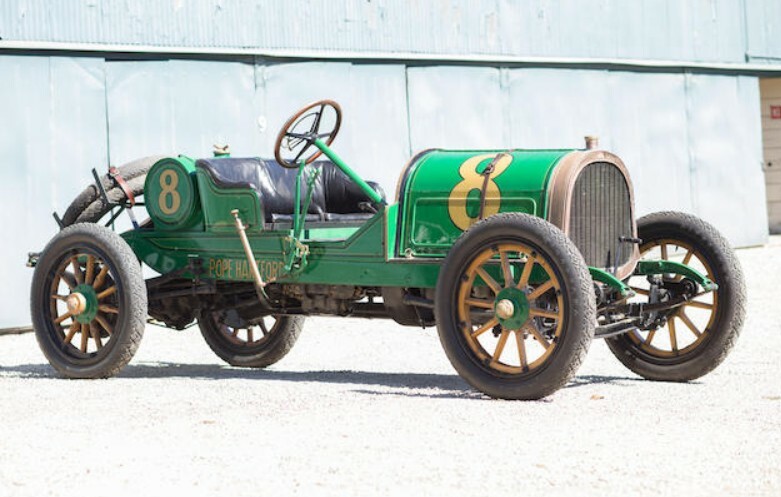 They auctioned off the Lindley Bothwell collection of historic motorcars. The top sale, as predicted everywhere, was the unbelievable Peugeot Grand Prix car for $7,260,000. The other million dollar cars we featured were the Mercedes-Simplex for $1,072,500 and the Benz racer for $1,870,000. Of the cars we featured, the only one that was remotely affordable was the Crestmobile that sold for $39,600. As far as interesting sales, this 1910 Pope-Hartford Model W 50HP Racer takes the cake, selling for $264,000. The rest of our feature cars all sold. The twin-cylinder Packard sold for $423,500, the Austro-Daimler $176,000, and the Clement-Panhard $60,500. Click here for complete results, including quite a number of model trains and even some horse-drawn streetcars. Half a world away, H&H Classics held their final automobile sale of the year. 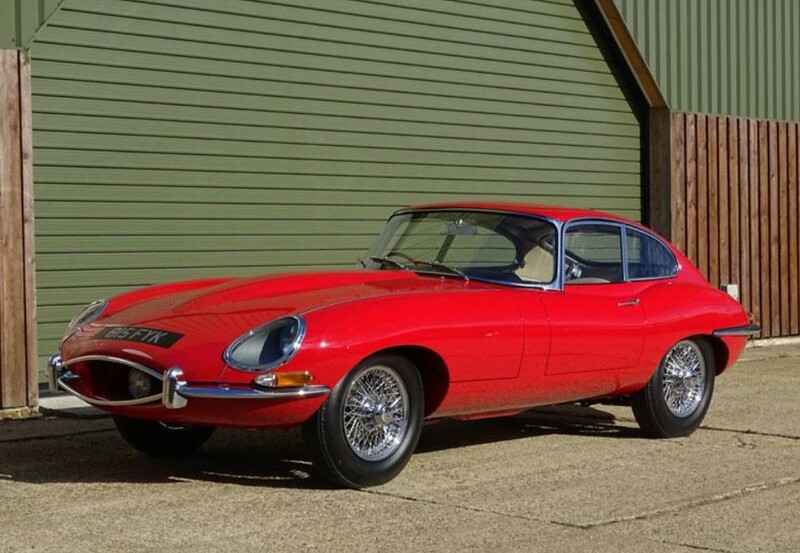 The biggest sale went to this 1963 Jaguar E-Type Series I 3.8 Coupe for $240,442. The Austin Prototype we featured failed to find a new home. Click here for complete results. Next up, Osenat’s final automotive sale of 2017. There were a few cars worthy of being featured from this sale, but we ran out of time. Blame Lindley Bothwell. 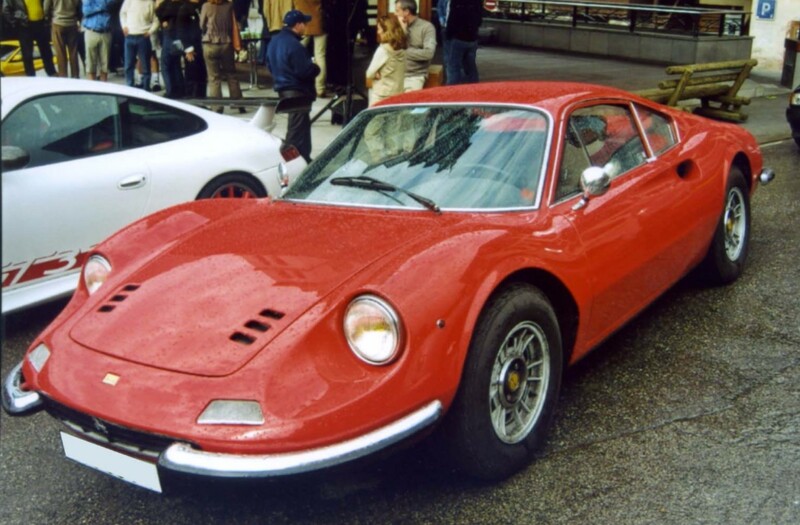 The top sale was this 1972 Dino 246 GT for $297,145. Click here for more results. Sotheby’s sold one of Michael Schumacher’s F1 cars, specifically this 2001 Ferrari F2001, at a Contemporary Art Auction in New York. Kind of weird as F1 cars are more functional than they are art. Anyway, it brought an impressive $7,504,000. Finally, Mecum in Kansas City. 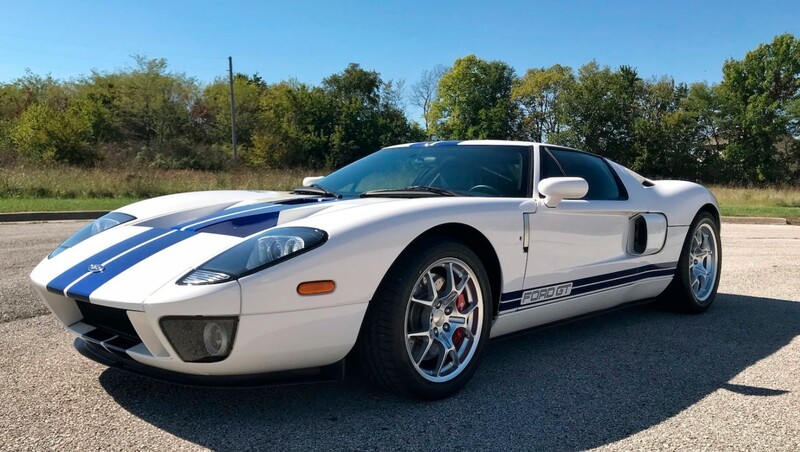 The top sale here was this 2005 Ford GT for $265,000. The Stellite we featured a while back sold again, this time for $3,750. My personal offer of $4,000 still stands. Email me and I’ll buy it. Click here for the rest of their results. This entry was posted in Auction Results and tagged auctions, Bonhams, cars, classic cars, dino, ferrari, h&h classics, jaguar, osenat, pope hartford, results, sothebys by classiccarweekly. Bookmark the permalink.